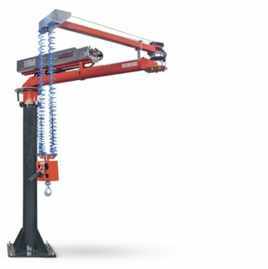 ATISACER – Series of pneumatic manipulator with steel cable actionable by pneumatic power. 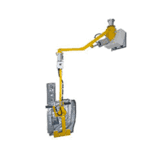 These manipulators can be supplied with bespoke gripping tool, designed to meet the customer's specific requirements. 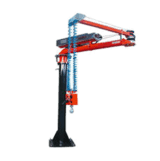 The bespoke gripping tool comes with either manual or pneumatically powered movements that allows execution of load handling cycle. 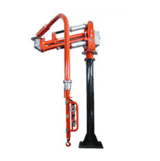 Appropriately designed, taking account of load capacity, working radius and suitable gripping tool, to render load handling easier for operator to carry out. 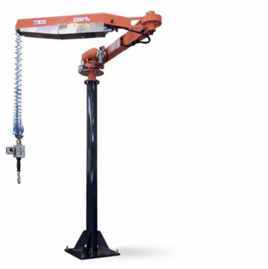 Each gripping tool, from ATIS, is unique and it is designed inline with the company’s philosophy, which is “adapt to customer’s request and be certain that gripping tool design meets all points on the technical specification of product to handle and not neglecting the operator’s needs as well”. 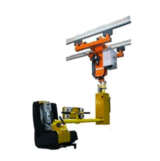 ATISACER pneumatic industrial manipulator runs on compressed air of 5-7 bar (73-116 psi). 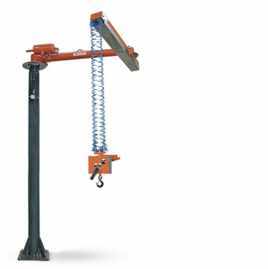 ATISACER manipulators, provided with rope vertical movement, allow handling of loads in any direction without ties, easily and accurate.